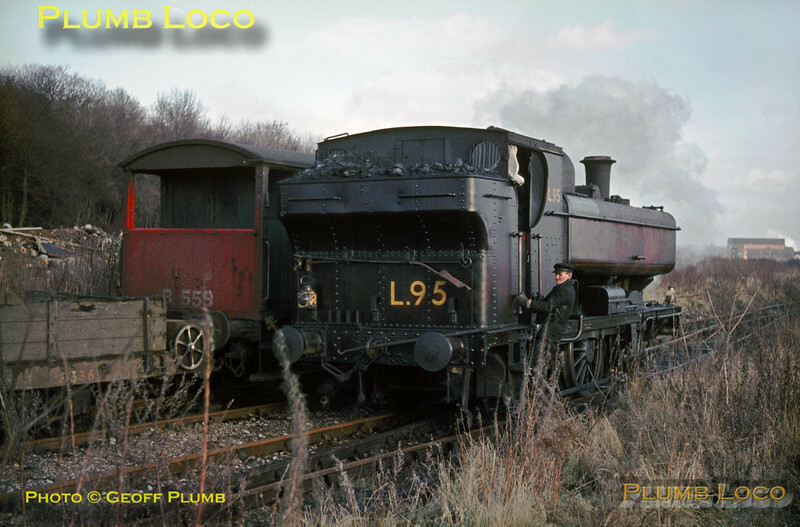 LT 0-6-0PT No. L95 shunting on the tip at Croxley, the shunter hitching a ride on the cab steps after the engine has uncoupled from its train. January 1969. Slide No. 3591.